Ron Weasley's wand! Absolutely necessary to cast a spell, this wand requires a long apprenticeship to channel its magic powers so there's not a minute to waste! 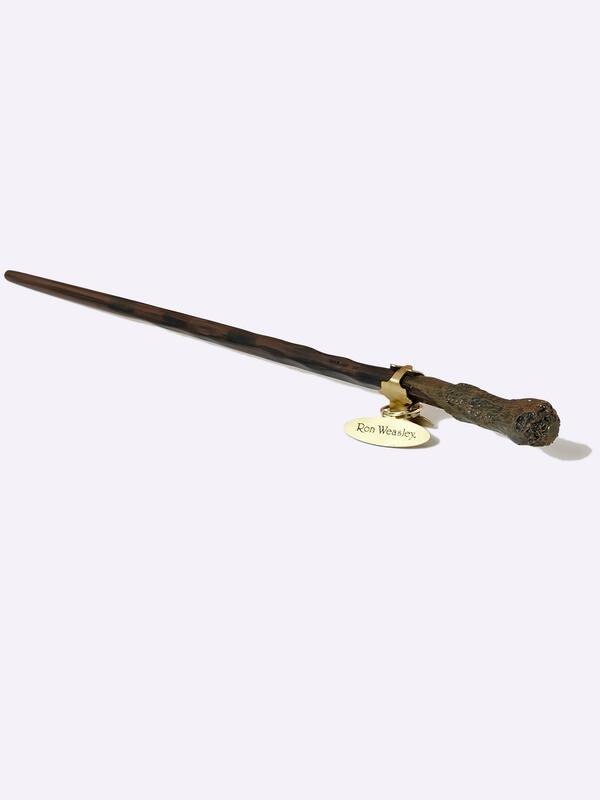 Copy of Ron Weasely's wand. Imitation wood. Comes in a collector box with presentation stand and plaque. Length, 35cm approx.